The predicted shortage of primary care providers, brought on by the growing population and an influx of newly insured persons, is a huge concern for health care administrators. Expanding the role of advanced practice nurses, particularly nurse practitioners, is one way state legislators respond to the need for primary care in rural and medically underserved areas. Given the trend to use APNs in these areas, it is easy to understand why the demand for specially trained nurses is predicted to increase by 31 percent between the years 2012 and 2022. Nurse practitioners, like other non-physician practitioners, have a graduate degree and are authorized to examine, diagnose, and treat patients. It is believed that APNs can increase access to health care services to those who are isolated, medically vulnerable, and uninsured and, thereby, reduce mortality rates and improve positive outcomes. The master’s degree in nursing (MSN) prepares registered nurses for advanced practice. Graduates may also become nurse educators, nurse administrators, clinical nurse leaders, or health policy experts. By selecting a specialized area of learning, the student will be fully equipped to effect positive change in the lives of patients, other health care providers, and the health care system. Apart from professional advancement, a master’s degree helps RNs increase their earning potential. APNs earn more than $83,000 on average and the earnings can increase to a six figure income based on specialty. The MSN program facilitates a wide range of specialties for registered nurses to enter. The four primary areas of study include nurse midwifery, nurse anesthetist, nurse practitioner, and clinical nurse specialist. Each area of specialty requires the MSN graduate to take a national certifying exam as part of the process. The master’s degree requires two years of study for nurse practitioners, clinical nurse specialists, and nurse midwives. Certified nurse anesthetists programs may require three years to complete. The specialized programs will include instruction in pharmacology, pathophysiology, physical assessment, and leadership. A practical aspect of the program gives students the opportunity to develop through hands-on practice in the field. The actual time requirements will depend on the area of specialty. Nurse practitioners practice for approximately 500 to 600 hours while nurse anesthetists complete upwards for 2,000 hours of clinical in preparation for advanced practice. Graduates take on leadership positions in administration or teaching. They may also assume an advanced practice role in caring for the elderly, children, women, infants, or mental health patients. Enrollment is limited to registered nurses with a bachelor’s degree. However, there are programs that accept students with an associate’s degree, who must complete prerequisite courses before receiving full enrollment in the MSN program. There are many top-tier universities offering the MSN program in New York. However, online universities in New York and other states offer an affordable and flexible alternative to on-campus schooling. RN to MSN: Universities such as Excelsior College, Daemen College, Stony Brook University, University of Rochester, and Mercy College consider applications from nurses with an associate’s degree for the MSN program. Applicants are considered on an individual basis. Some programs award the MSN degree while others award both the BSN and MSN degrees to successful students. RN-MSN programs are a time and cost saving option when compared to completing the BSN followed by the MSN program. Direct Entry MSN: The direct entry (traditional) MSN program is a 40 to 50 credit program that includes at least 600 hours of clinical experience for registered nurses who hold a baccalaureate degree. The BSN education provides the foundation for the graduate program that prepares students for primary care to selected populations. BSN-MSN programs are available in traditional or online format. Post-Master’s Certificate: the post-master’s certificate program is targeted to registered nurses who have clinical master’s degree from an accredited university. The program prepares the student for certification in another field of specialty. It is s 2 to 4-semester program that includes instruction in a specialized area. Although the curriculum follows a flexible format, students must have sufficient time to fulfill the extensive clinical requirements. The MSN program is designed with the working registered nurse in mind. Applicants must have an associate’s degree or bachelor’s degree in nursing. There may be avenues for a professional with a non-nursing bachelor’s degree to enter the program. Upon completion of the course requirements, the school will confer the master’s degree with the area of specialty that will make the candidate eligible to sit the respective national certification exam. Official transcripts from an accredited BSN or ADN university with a GPA of 3.0 or above. Current registration as a New York State registered nurse. Two to three letters of recommendation from a professional or academic source. A completed portfolio including a current resume, personal statement, and other appropriate documents. Health insurance and malpractice/liability insurance. A grade C or above in graduate statistics. The MSN program for students entering with a bachelor’s degree in nursing can cost a hefty sum of $27,900 calculated at an average rate of $620 per credit. Schools within the public system cost less than private universities, such as NYU and Columbia University. Registration and service fees, books, and personal expenses will increase the final cost of attendance. Bear in mind that the program is an investment that will pay dividends considering that advanced practice nurses are in demand and earn starting salaries of $80,000 and more annually. Scholarships and grants and other sources of free money will help to reduce your costs before adding loans and other sources of financial aid that you may have to repay. New York State registers advanced practice nurses for practice as a Nurse Practitioner and Clinical Nurse Specialists. There are APN licenses for Certified Nurse Midwives and Certified Registered Nurse Anesthetists. Candidates for advanced practice must be certified and registered as an NP or CNS in order to practice in New York. 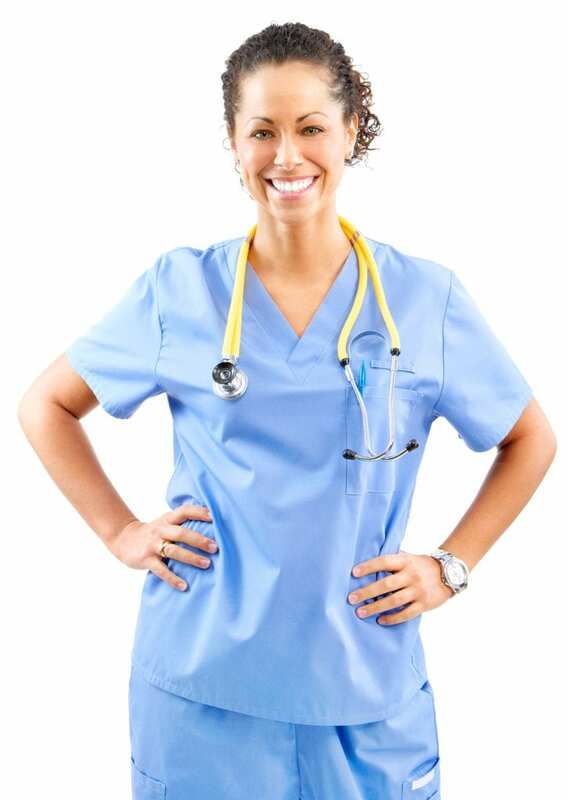 To qualify for registration by the NYSED, you must hold a current registered nursing license, have successfully completed a graduate education program in the area of specialty and be certified by a national certifying organization, and have completed pharmacology coursework before applying for registration with NYSED. The downloadable application form is available online. You must complete the application and mail to the NYSED address provided below. You may apply for certification in more than one specialty area but there is an extra fee for each area. You must file a separate application for each area of specialty. The completed Application for a Certificate (Form 1). The form must be notarized by a Notary Public. The non-refundable processing fee of $85 using a check or money order made payable to the New York State Education Department. The Certificate of Professional Education is necessary if you completed a program that is registered by the NYSED. Complete the form and have the registrar complete the appropriate section and submit directly to the Office of Professions. Verification of Instruction in NYS and Federal Laws Related to Prescriptions and Record Keeping (Form 2B) is required if you completed a nursing education program not registered by the NYSED. The school must complete the appropriate section and submit directly to the Office of Professions. Verification of Pharmacotherapeutics Course (Form 2C) is applicable if you completed a program that qualifies for a certificate but is not registered by the NYSED. The Registrar must complete the appropriate section and submit both pages to the Office of Professions. Verification of National Nurse Practitioner Examination (Form 3). Submit this form if you’re applying for certification on the basis of your credential through a national certifying organization. The national certifying organization must complete section II of the form and return both pages directly to the Office of Professions. Verification of Collaborative Agreement and Practice Protocol (Form 4NP). Applicable to NPs who have more than 3,600 hours of experience as a NP licensed in any state or have experience working in the Public Health Service or US Armed Forces or US Veterans Administration. Submit 4NP within 90 days of commencing practice. Do not fill out this form if you’re newly certified with more than 3,600 hours of qualifying experience and chose to practice and have collaborative relationships. The Collaborative Agreement Attestation Form applies to NPs with more than 3,600 hour practice hours who plan to practice and forge collaborative relationships as opposed to practicing in accordance with a written practice agreement with a collaborating physician. The completed Application for a Clinical Nurse Specialist Certificate (Form 1). The form must be notarized by a Notary Public. The non-refundable processing fee of $80 using a check or money order made payable to the New York State Education Department. Certificate of Professional Education (Form 2). The registrar of an NYSED approved program must submit this form directly to the Office of Professions on your behalf. Verification of Other Professional Licensure/Certification. Submit this form if you previously held or currently hold a certificate to practice as a CNS in any state. The certifying agency must complete the appropriate section and submit the form directly to the Office of Professions. Verification of Clinical Nurse Specialist Certification (Form 3C). Applicable if you’re applying for certification on the basis of your certification through a national certifying agency. The organization must complete section II of the form and submit both pages to the Office of Professions. Verification of Experience (Form 4). If you’re applying for certification using alternative requirements (before September 15, 2017), you should complete Form 4 and have the clinical supervisor complete section II and submit directly to the Office of Professions. Once issued, the NP and CNS certification will authorize you to practice for up to 3 years. The certification will remain valid for life unless it is revoked, surrendered, annulled, or suspended. The Office of Professions’ Online Registration Renewal service facilitates easy online renewal. You can sign up and renew your certification during the final five months of the current registration or no more than four months past the expiration date. The Office of Professions will mail your registration renewal documents before your certification expires. NP and CNS certifications are valid for three years after issue, and you must renew to continue practicing. The renewal fee is $35. However, if you submit the renewal request after the expiration date, you must pay a late filing fee of $10 for each month your renewal is delayed. Apart from renewing your certification, you can also use the online renewal system to change your address or request inactive status.